Looking for reliable removalists in Perth, WA? 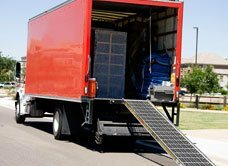 Cockburn Removals has been providing good-value, reliable removalist services for residents and business owners around Perth for more than 30 years. We know moving house can be a daunting experience and we aim to make it easy and stress-free for you. We have experienced staff and reliable, fully-equipped trucks, and offer a full range of services including packing and self storage in Perth. Phone us today to discuss your needs and let us take care of your move. We are insured, and take great pride and care in treating your belongings, furniture and equipment as we would our own. Because of our many years of moving experience we also understand the logistics of moving and how to plan a move that will efficiently use space and time, so while we don’t like to think of ourselves as “cheap removalists” or “cheap movers” (because that implies low quality), we believe we are very affordable and that we offer very competitive rates. So if you’re moving house or changing to a different business location, and no matter whether you’re looking for a small removalist, house removals, furniture removalists, or office removals in general, don’t risk lifting heavy furniture or equipment. We’ll look after the move for you. For an estimate on your next move, call the friendly team at Cockburn Removals now on 0458 881 111. We look forward to speaking with you! Cockburn Removals are here to help make your relocation stress free. We’ve move 18 times and Cockburn Removals were hands-down the best removalists we’ve ever had. Just thought I’d drop you a quick email to thank you for an excellent move on Friday.The guys were great and made the day smooth and took the stress right out of moving. Thanks again for the excellent job. After years of planning our dream home with our newly polished floors and new walls, we were concerned about moving our bulky furniture in. We are so grateful that there were no marks left. You really are true professionals. We are really impressed. Thank you so much. Just a quick note to thank the guys that moved us. Wow, how efficient are they! We were also really surprised at how little our move cost with no hidden extras. We will definitely be recommending Cockburn Removals to our friends. I would like to thank you for the best removal job. The men were so efficient. Please convey our thanks to both removalist. Thanks – fantastic! Thank you for all the hard work in relocating us to Bunbury in one day. Everything went so smoothly. Thanks again. This note is just to say a huge thank you to the Cockburn Removals team for packing our home so efficiently and moving us to Margaret River. We couldn’t be happier. Thank you. Cockburn Removals have been providing good value, reliable removals for Perth residents and business owners for more than 30 years. As a locally owned and operated removalist company, Cockburn Removals have a long history of providing good quality service to their clients. With depos in Bibra Lake, Fremantle, Cockburn & Forrestdale, we can service all areas.